You are my new personal hero! Thank so much for these templates! Just what I needed, exactly WHEN I needed. 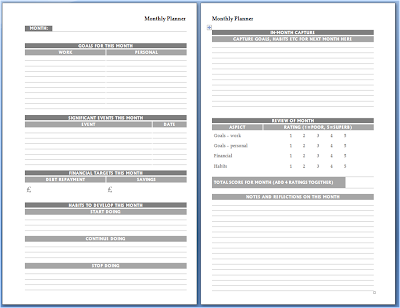 I was setting up my year goals, but was struggling to implement and track them on a monthly basis. Enter your templates... PERFECT! Just printed some of these out. I printed them on one end of 8.5x11 inch paper, and then snipped off half an inch from the left margin, punched the right hand side, and folded over to the punched holes. 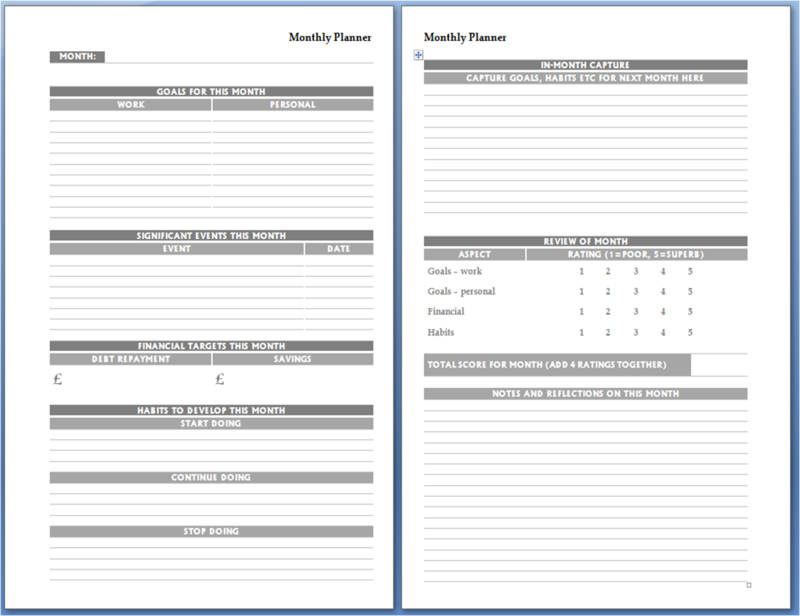 Now it's a foldout, so I can review my goals side by side with my planner pages. Brilliant! Thanks Ray!